Finding affordable and comfortable contact lenses in Somerville, MA is easy at Parrelli Optical. The highly trained and knowledgeable professionals at our eye care facility can provide you with options to correct your vision and preserve the health of your eyes. We specialize in finding solutions for even the most difficult vision-related problems and can help you select the best contact lenses for your particular set of needs. Our routine eye examinations are anything but ordinary. The eye care professionals at Parrelli Optical go above and beyond to protect your vision and ensure that your eyes stay healthy. We work with you to find the best solution for your vision correction needs from our extensive selection of top-quality contact lenses. Whether you are near-sighted, far-sighted or suffer from astigmatism, we can provide the right contact lenses to help you see clearly. Parrelli Optical also carries contact lenses designed for bifocal and trifocal wearers that provide seamless visual transitions between near and far objects in the field of vision. Soft, gas-permeable and hybrid contacts allow the widest degree of choice for our patients. Our expert fittings ensure that Parrelli Optical patients enjoy the most comfortable and effective vision correction from their new contact lenses. Parrelli Optical also provides specialty contact lenses designed to provide clearer vision and added comfort for patients with corneal grafts, dry eyes or keratoconus. 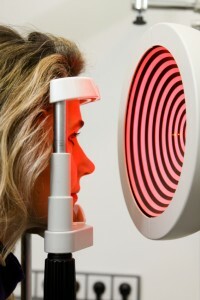 Our experience and knowledge ensures that you will receive the most effective solution for your vision correction needs. At Parrelli Optical, we take pride in offering the best eye examinations and contact lenses in Somerville, MA and look forward to serving your eye care needs.